Professor Hafiz Abdur Rahman, who helped found the Bangladesh Student Association in 2000 and served as its first President . He completed his MS from Purdue University in 2000 and worked as software engineer couple of years in Purdue at that time. His wife, Professor Nazmun Nahar also achieved her MS and PhD in Civil and Environmental Engineering from Purdue. Currently, They are working as faculty in North South University, Bangladesh. 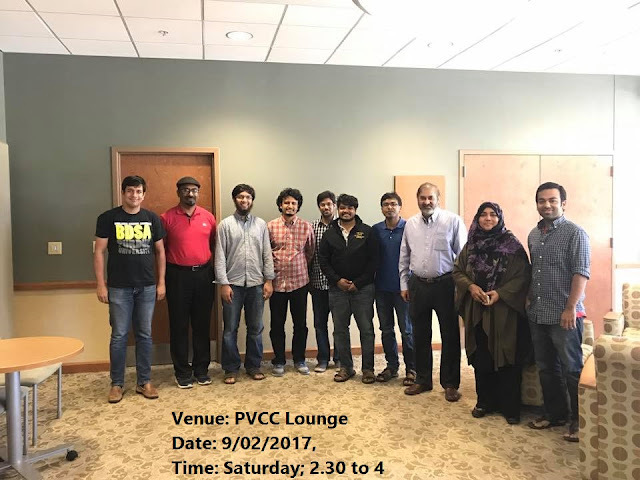 Prof. Rahman and his wife visited Purdue University during this weekend, shared their many memories with us, and told us about the early days of BDSA and their activities. They also discussed about job perspective for us in Bangladesh and many more things.